Learn more about OpenStack’s compute, storage, networking, or take a tour of the dashboard. Founded by Rackspace Hosting and NASA, OpenStack has grown to be a global software community of developers collaborating on a standard and massively scalable open source cloud operating system. Our mission is to enable any organization to create and offer cloud computing services running on standard hardware. The ICClab is coordinating the Swiss OpenStack user group. We will be running regular for anyone with an interest in IaaS and PaaS to come along learn, participate and hopefully have some fun too! The ICCLab contributes to the implementation of the OCCI API for OpenStack. This provides a python egg which can be easily deployed in OpenStack and will thereby add the 3rd party OCCI interface to OpenStack. 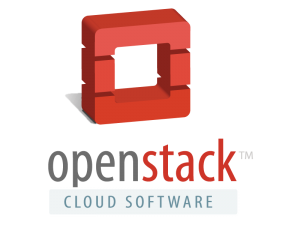 The ICCLab contributes to the OpenStack ceilometer project. The contribution made here is in providing monitoring metrics for physical host machines in an OpenStack deployment. Ryu provides software components with well defined API that make it easy for developers to create new network management and control applications. Ryu supports various protocols for managing network devices, such asOpenFlow, Netconf, OF-config, etc. About OpenFlow, Ryu supports fully 1.0, 1.2, 1.3 and Nicira Extensions. NTT laboratories OSRG group started Ryu project and the members are actively involved in the development. Our aim is developing an Operating System for SDN that has high quality enough for use in large production environment. The contributions by the ICCLab are in the general field of the OpenFlow Meter Modification messages as well as the OpenFlow Queuing messages. We are contributing in this field to the implementation of the OpenFlow protocol itself for the RYU-controller. RYU was with this contribution the first known controller that supports MeterModification messages for OpenFlow. All the contributions for RYU are in python. The OpenFlow 1.3 software switch is built upon the Stanford OpenFlow 1.0 reference switch andEricsson’s Traffic Lab OpenFlow 1.1 switch and is intended for fast experimentation purposes. OpenFlow has brought the opportunity to perform a wide range of new experiments in a network. Currently there is a good number of hardware switches to try OpenFlow, but most of them still implements only the version 1.0 of the protocol, lacking the new features from the most recent versions. So, in order to not have innovation dependent of hardware software switches are being deployed since the most primitive OpenFlow versions. The ICCLab contributed minor Bug Fixes for the current implementation of the softswitch13. In addition to providing the runtime platforms also tools supporting the development process like development environments, testing, continuous integration and continuous deployment have to be adopted for the cloud environment. In a layering model PaaS can be seen as a (middleware, glue) layer between Infrastructure (IaaS) and Software- and Service offerings for end-users (SaaS). PaaS technologies and offerings are slowly getting mature. Industry is starting to discover PaaS solutions, but there is still a lot of education work to do in programming for the cloud. We see a lot of opportunities in this areas. Todays PaaS offerings almost entirely focus on web solutions and are optimized for large numbers of short lived process requests. They are not (yet) optimized for other services like batch processing. Automated deployment and operation of PaaS environments. Developer tooling and processes for continuous deployment and management of SOA based applications in PaaS. The following Initiatives are addressing PaaS specific topics. IaaS itself is also a wide area filled with interesting research areas and currently the research initiatives of interoperability and dependability are applied to IaaS in the ICCLab.